There's a new Reggie in town when Riverdale returns for season two. 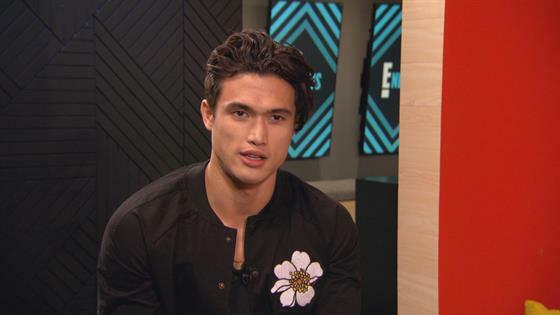 After the character was recast because of Ross Butler's prior commitments to 13 Reasons Why, Charles Melton was brought into the Riverdale universe as Reggie 2.0, and he's a face you're going to want to get to know. Lucky for you, E! 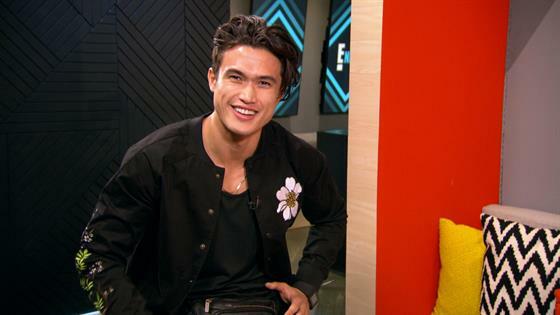 News sat down to find out everything we could about the 26 year-old, from his favorite movie to his favorite milkshake flavor to his go-to picture face, and it's kind of hard to watch him play our little get to know you game without falling a little bit in love. His favorite movie is A Knight's Tale, you guys. A Knight's Tale! And for those of you who are still worried about getting used to a new Reggie, Charles wants you to know that he's doing his absolute best. "I'm gonna give my best work that I can to the role of Reggie, Melton says. "I understand if you're a little apprehensive, but you know, I'm going to do Reggie a service, an honor, you know, ‘cause historically he's an iconic character, so I'm going to do my best so hopefully I'm going to stop getting the #notmyreggie comments." While those comments--which Melton says he's gotten a ton of on Twitter--are hurtful, he's trying not to let it bother him. "You really don't react to it," he says of dealing with online hate. "I mean you just, no matter how good things are, or how bad things could be, there's always going to be negativity or something like that going on, and you just gotta, you know, embrace it I guess. But don't let it dictate kind of like how you're going to live." Riverdale returns Wednesday, October 11 at 8 p.m. on the CW.